In honor of International Translation Day, we've compiled some thoughts from around the web that explore the profound and varied ways linguists impact our world. Thank you to all linguists who enable us to communicate, no matter what language we speak! "Research over the past 15 years has established that language errors and misunderstandings are common when professional interpreters aren't used." "The NYPD is the largest police force in the nation with over 36,000 officers and 18,000 civilian employees. Among its ranks, some 19,000 officers speak as many as 70 languages other than English. But in a polyglot city like New York with a gargantuan population of 8.5 million people, that may not be enough." "Officials hope the increased awareness will reduce misunderstandings and ensure deaf residents get proper assistance." International Translation Day is celebrated once a year on the 30th of September, which is the feast day of Saint Jerome, best known for translating the Bible into Latin in the 4th century. He is also known as the "patron saint of translators." 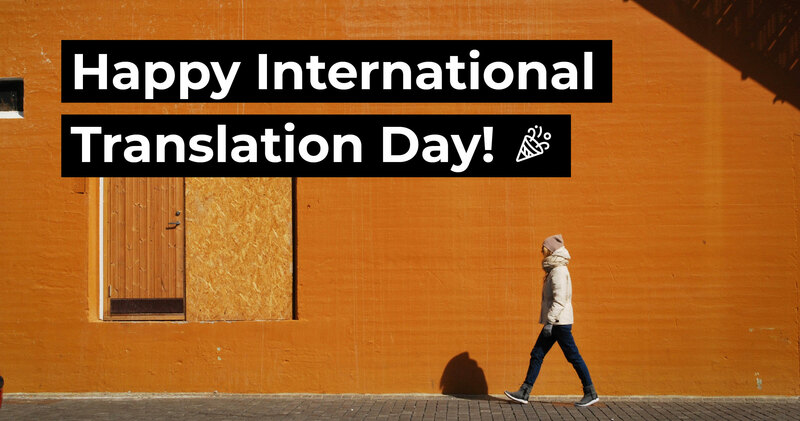 In 1991, the International Federation of Translators' (FIT's)Public Relations Committee officially launched International Translation Day as a holiday to be celebrated internationally and annually. On this day, linguists are celebrated for their profession. Without translators' and interpreters' continuous contributions, we would be unable to communicate with people around the globe, or even communicate with linguistically diverse individuals within our own nation. Translators and interpreters help us connect with others, whether that be through voice, text or video, every day.